Having served hundreds of families since 1915, we realize how difficult planning a funeral is for people after the loss of a loved one. We understand that arranging a funeral involves making difficult decisions at a very emotional and highly charged time. We also understand that a funeral service does not have to cost a fortune. We know the value people place on family and the value of a dollar. As a vital part of our unwavering commitment to excellence in service, we are always searching for ways to greatly reduce this emotional and oftentimes financial burden that accompanies the loss of a close loved one. Funeral prearrangement meets this need. There are so many events that we plan ahead for in our lives: birthdays, weddings, vacations, and yes, also funerals. People are increasingly purchasing their funerals ahead of time because of the obvious advantage of paying for them at today’s prices. However, the benefits go much further. Knowing that things will be taken care of according to their specific wishes relieves people of worry and anxiety as they get older. It also avoids financial burdens from falling on their children, grandchildren or other family members. We are specialists in the field of prearrangements. As Certified Preplanning Consultants, we can provide the insight, experience and professional counseling you deserve, free of charge or obligation. Zarzycki Manor Chapels, Ltd. is licensed by the State of Illinois to handle such prearrangement funding. 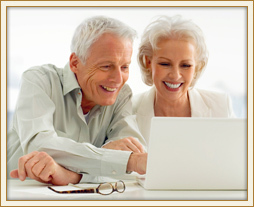 We offer a Pre-Arranged Funeral Program, which is public-aid approved for those interested in funeral planning. Think carefully about what will be best for you and your family. Fully discuss why you desire certain arrangements and accompanying merchandise. By arranging today, you are assured peace of mind for you and your loved ones before the time of need. We are always willing to answer any questions or discuss any aspects of the funeral. If you are interested in learning more about preplanning, please feel free to contact us at (773) 767-2166 in Chicago or (708) 839-8999 in Willow Springs or email us. You may also fill out the following form and submit back to us. We can meet with you in our home or yours to discuss your options.